An oil spill this week polluted a reported 5-mile stretch of a creek near Enid. 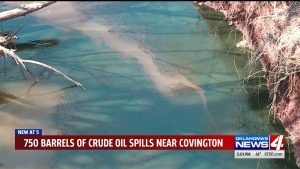 The Oklahoma Corporation Commission reported cleanup was underway after the Tuesday morning spill was discovered about 4 miles north of Covington on East Southgate road. 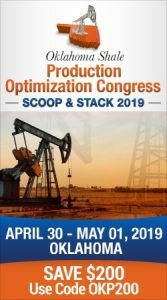 The OCC was notified by Great Salt Plains Midstream LLC that some 750 barrels of crude oil had spilled on the ground. Matt Skinner, a spokesman for the Corporation Commission indicated the crude oil and leaked into a ditch and made its way into Black Bear Creek. An earthen dam has been built near the release site. As around the clock clean up continues, the worst-case scenario seems to have been avoided. “At this point, we have no reason to believe that drinking water is in any way in danger from this spill,” said Skinner. 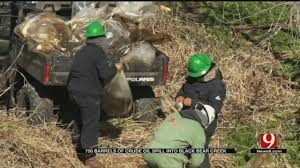 It’s unknown how long cleanup efforts will take or if anyone will be held responsible. The investigation into the spill continues. KWTV News 9 reported that Mavis Campbell lives nearby. Campbell says she’s not surprised about the spill, given the amount of oil activity in the area. News 9 has reached out to Great Salt Plains Midstream LCC but have not heard back.